WICKET MAIDEN: Eadie Alexander took two wickets in two balls in her first game for Sheen Colts at Twickenham. GOTCHA: Luke Magalhaes leads the celebration with Rufus Goodman and a thoughtful Will Weir. PLAYER OF THE YEAR: Olly Richards, who claimed six Trophies at the annual prize giving. FAST AND THE FURIOUS: Ted Clark in action at Sunbury. 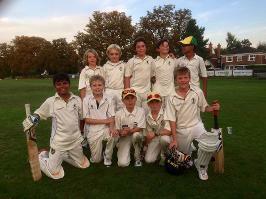 CUP WINNERS: The team after the U11 Regional final win against Teddington. STOKED UP: Celebrating a compelling win against Esher in the eight-a-side final. OLE OLLY: Olly Richards collects the Sheen Colts Victor Ludorum trophy from former Sheen Colt and Middlesex Cricketer, Tom Lace. We had, by our own standards, a quiet year in 2018, with just one trophy success – in the U13 League. However, what made it a special year was the blossoming of a crop of younger players who achieved way beyond what was expected at U10. Almost to a man, they were under age and will be back competing at that age group again this summer. The more robust in the group will also play up at U11 and even U12. Many congratulations to Olly Richards for retaining the Victor Ludorum Trophy that is awarded to the boy or girl who collects the most points through the summer batting, bowling and fielding. IF YOU ARE ON OUR MAILING LIST YOU WILL BE APPROACHED REGARDING EASTER CAMPS (AGAIN) AND MEMBERSHIP IN THE NEAR FUTURE. You are on it if you're reading this. There is a fair amount of information on the website, including that about fixtures, membership, dates for the diary etc. We use a ‘Sheen Scorchers’ Facebook page as a back-up to the regular e-mails you receive. Please check out the page (Google: Sheen Scorchers) and click the ‘like’ icon inset in the main picture it to receive regular updates. It is an invaluable tool for last minute cancellation of games, etc. and will be regularly updated with information relevant to the Colts section. We have a 'Sheen Scorchers' account – so ‘follow’ it to receive regular updates through the coming summer. If you are not on Facebook or not much of a Googler or Tweeter – never fear. All the information you need will be sent via e-mail to you through the season, (Camps, membership, matches, etc.) provided you are on the mailing list. THIS IS SENT CHRONOLOGICALLY THROUGH THE SEASON. 1-1’S; EASTER CAMPS; SUMMER MEMBERSHIP; HALF-TERM CAMP; SUMMER CAMPS ETC. Once these have been received you will be added to the members mailing list and receive regular updates. PLEASE NOTE: WE ARE VERY MUCH ON THE HUNT FOR NEW MEMBERS – PARTICULARLY AT U11. We are the most successful Colts Club in Middlesex in proportion to our numbers. Again this winter a decent volume of players are either through and playing in full County squads or have performed really well at Borough trials. What makes Sheen unique is the strong relationship we have with the county at the highest level – something that is of considerable benefit to all aspiring junior members. The process for a child to get into a County team is through the Borough system and onto the Talent Development Pathway. Boys and girls are nominated to trial for Borough age group teams each January and the best players go on to represent the Region later in the summer. It is at the Regional phase that players are invited to join the full County age group squads the following winter. This year, we have 14 boys on the Middlesex Pathway! We run what seems to be an increasingly popular 1-1 programme – and remarkably have got though much of the winter, on a Saturday, on the Common. When we move to summertime, sessions will take place on a Sunday with Tony Bradshaw and Ali Fraser whilst Max Read will be available to take singles or small groups on a Monday, Tuesday or Thursday evening after training. Scott Moody also runs a very decent bowling programme out of Sheen on a Saturday. Last summer we took delivery of a 2G Flicx pitch, a Bola bowling machine and three crazy catches. The batting cage, which means we have, potentially three nets rather than two, is scheduled for delivery in the Easter holidays. We are also taking delivery of five six-seater picnic tables and parasols early in the season. a) THE PRIMARY SCHOOLS TAPED BALL TOURNAMENT. We invite four local Primary Schools – Sheen Mount, East Sheen Primary, St Mary Magdelene and Holy Trinity to take part in this tournament – normally played early in July. We are looking for a sponsor for this event if there is anyone out there interested. 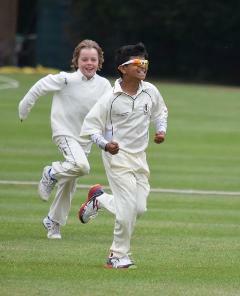 b) U11 AND U10 V MOTHERS MATCHES. Not played last summer, but we could really do with an organiser of two matches to be played on one evening in July. Please advise if you can help. This is scheduled to take place at Richmond CC in late November. 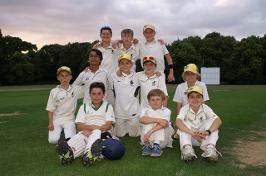 A fixture list is available on the Sheen Park Colts website. This gives you an opportunity to plan for those games you would like to make your child(ren) available for in the season ahead. We play Middlesex League and Cup matches in the week and Surrey League and Cup on Sunday mornings. FIXTURES ARE 98% CONFIRMED AND CAN BE VIEWED ON THE SHEEN COLTS WEBSITE. Training evenings will take place from the week commencing 22ndApril for 12 weeks with a one-week break at Whitsun half-term (week of May 27th) for all junior members. The membership fee for the season will be £120 for Under 6-9’s to cover twelve ninety minute sessions through the summer and any hard ball matches arranged. From U10 to U14, the membership fee will be £140. It is anticipated each child of U10 and above has the opportunity to play in a minimum of six matches through the season. Membership reminders are sent out by e-mail to existing members, though newcomers are more than welcome to contact us through the website (‘Contact Us’ page) or mail Tony Bradshaw on tonybraldo@gmail.com. NOTE: WE DO NOT TURN AWAY PLAYERS – THERE ARE ALWAYS PLACES FOR NEW MEMBERS. CONTACT US (ABOVE) TO JOIN THE MAILING LIST! Away matches are at the behest of the opposition though wherever possible we have tried to arrange them on the same day as home games. (Starting times are the same. We are still very much on the look-out for coaches/assistant coaches to assist with the programme in 2019. MONDAY COACHING: ONE assistant coach. TUESDAY COACHING: ONE assistant coach. THURSDAY COACHING: ONE assistant coach. U11’s (Middx) – Match Manager - ANY VOLUNTEERS? U13’s – (Middx) Match Manager - ANY VOLUNTEERS? U14’s – (Middx) Match Manger – ANY VOLUNTEERS? We anticipate there will be regular turn-up-and-play cricket on Sunday mornings throughout the season from 10am to 12 noon. This will commence on Sunday April 29th. We suggest all U6-U10 players who want to develop their games attend these sessions. The rate is £5 for the two hours for paid-up members, £10 for non-members. Just turn up if you fancy a hit – and bring your friends. Monday 1st April to Friday 5th April. Monday 8th April to Friday 12th April. Monday 15th April to Friday 19th April. NOTE: As well as general Camp, we intend to run small group hard ball net sessions during the day for those wishing to move their games on to the next level. Tuesday 28th May to Friday 31st May. Monday 8th July to Friday 12th July. Monday 15th July to Friday 19th July. Monday 22nd July to Friday 26th July. Monday 29th July to Friday 2nd August. Monday 5th August to Friday 9th August. Monday 12th August to Friday 16th August. Monday 19th August to Friday 23th August. Monday 21st October to Friday 25th October. Please note: It is possible to attend camp at a rate of £20 per day (£15 for siblings who book on the same day) IF BOOKING AND PAYMENT IS MADE IN ADVANCE OF THE COURSE TAKING PLACE. Turn-up and play, on the day, is £25 for the first child and £20 for siblings. Registration takes place on Sheen Common, opposite 3 Fife Road, East Sheen. The pavilion on the far side of the ground is the muster point. The U14’s and U13’s will play in Scorchers coloured kit again this summer. Please be aware every member needs a Sheen Scorchers cap, which we will have in stock, before the start of the season. We also have a stock of Sheen Colts white shirts for the younger age groups. Tariq Nazir, renowned for his championing of Colts equipment at excellent prices, has a shop – next to AJ-Fordhams in Robin Hood Way, Kingston (just off the A3 near the Robin Hood roundabout). tnazir@talk21.com. We also have a strong relationship with Sheen Sports, who offer a 10% discount to all Sheen Park members – adults and colts. We've had old bats donated over the years, but can always do with more! If you have an old bat lying around that is no longer of any use to you, could you please bring it to Sheen at the start of the season. They are valuable to us & after a clean-up are ideal for youngsters venturing into the game for the first time. We have found less use for old pads, gloves, etc. IT’S BAT’S – HOWEVER BATTERED – WE NEED!!!! Just a reminder that unless it is in exceptional circumstances, we offer credits rather than refunds if your child should your child be unable to attend a camp or winter training. Every summer, many items of clothing are left at the ground after camps and training. They are kept in storage at the ground (main changing room) so feel free to rummage through the pile when you come down if your child has misplaced a fleece, wind-cheater or sweater! Look forward to seeing many of you this season. Season synopsis: Poor availability meant that this team played just two matches in 2018 – losing to both Richmond and Sunbury. It had been hoped that it would be possible to play more games – but with a small U13 squad and barely any U14’s this was never going to be a strongly competitive XI. Gabriel Hammond once again stood out with innings of 48* against Richmond and 32 and 2-28 v Sunbury. Will Weir took 3-31 in the two games to end up leading wicket-taker. There is every expectation that this age group will be strongly competitive in 2019, with a taented U13 contingent being available for the league competition. 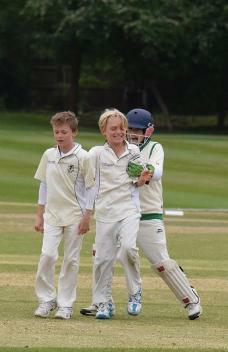 Season synopsis: With a total of 293 runs from eight innings, including three half-centuries, Ben Barlow realised his potential at the top of the order and he was well supported by Olly Richards, playing almost thee years above his age group (182 runs at 45.5), Rufus Goodman (115 runs at 38.33) and Gabriel Hammond 92 runs at 46.00.) There were a number of resounding victories against modest opposition and a league title to enjoy, but the team was then outgunned by stronger opposition, losing heavily to both Indian Gymkhana (Middx Cup) and Sunbury (Middx League play-off). Leading wicket-takers were Eddie Rogan and Ben Barlow, with seven apiece, but in truth the attack was disappointingly lacking in penetration up front and all too often it was left to the spinners to claw games back. 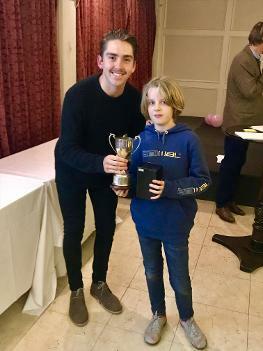 Season synopsis: There was a startling symmetry between the Middlesex and Surrey seasons, this age group playing a succession of matches against frankly, modest opponents that helped create an aura of invincibility. Losses to Indian Gymkhana and Richmond (Middlesex) and Old Rutlishians and Ashtead (Surrey) late in the summer torpedoed league title hopes. There was also a tight but ultimately disappointing loss to Richmond in the first round of the Surrey Cup. This is a fine group of individual players but if there is a concern, it is that under pressure against well-drilled opponents there is not quite the level of resolve required to be a truly outstanding team. An issue that needs addressing is the captaincy where a number of players stepped up to lead the side without ever quite being comfortable in the role. Rufus Goodman was the stand-out batsman with 220 runs from eight innings including a ruthless 56* against Teddington whilst Jackson Smith was comfortably the most improved player and managed an unbeaten 50 against Barnes. Luke Magalhaes, Olly Richards, Will Weir and Ted Clark also scored 160 + runs and Magalhaes had an impressive season behind the stumps taking six catches and snaring 13 stumpings. 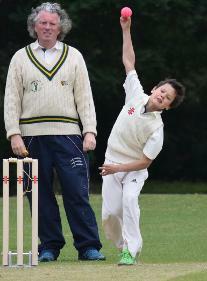 Leading wicket-taker through a summer of flat wickets and fast outfields was Izaak Manuel (11 at 13.54) whilst Will Weir took 10 wickets at 22.00. In all the 85 wickets taken by bowlers were shared between 17 players. Season synopsis: As much as playing boys and girls up is a strength of Sheen’s selection policy, it is also an Achilles heel in that if an U11 side is playing on the same day as an U12 team, it can be missing a number of key players. When at full strength, this XI was a match for any side, George Grisdale thumping 245 runs in just five innings, including three half-centuries. He received strong support from Olly Richards (156) and Eddie Vigar (127). The bowling was less potent, though Marcus Gridale, playing two years above his age was co-leading wicket-taker with Leo Cusden, both claiming seven victims. Danny Barlow (6) and Eddie Vigar (6) were the next most successful. Ultimately defeats to Indian Gymkhana cost the side the league title and a concession in the cup due to lack of availability was a disappointment. Season synopsis: A crop of young players were blooded in both the Middlesex and Surrey Leagues and performed way above expectation through the summer. With few victories expected from a side that included many U8’s and U9’s, the squad managed 10 in all – an outstanding achievement. Harry Klein was leading run scorer (114) followed by Danny Barlow (91) and Rory Jacomb (81) whilst Barlow also claimed 11 wickets along with Haris Khan. Freddie Danos managed nine, including a memorable spell of 2-1-2-4 against Malden Wanderers. THE CLUB PLAYER OF THE YEAR is selected on the basis of points scored for batting, bowling and fielding through all games in the summer. There are 15 points per wicket, one per run, 10 per catch/run out as well as 20 points per catch/stumping for ‘keepers. Leading points scorers through the summer are listed below.